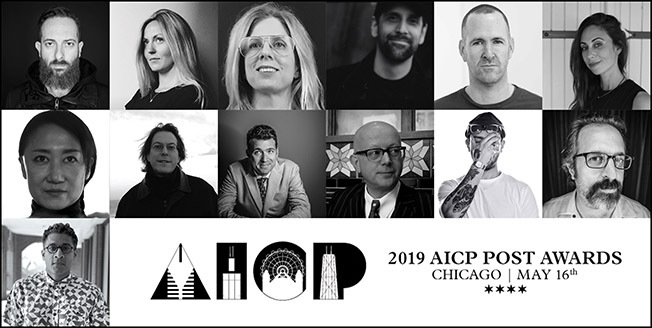 President and CEO of AICP, Matt Miller announced the makeup of the 2019 AICP Post Awards Curatorial Committee. The AICP Post Awards, part of AICP’s suite of competitions that includes The AICP Show: The Art & Technique of the American Commercial and the AICP Next Awards, honors excellence in creative editorial and the post-production arts. Editors serving on the committee this year include Jen Dean of Consulate, Chris Franklin of Big Sky, Julie Gannon of Cosmo Street, Craig Lewandowski of Utopic, Louis Lyne of Cutters, and Sai Selvarajan of Lucky Post. Colorists on the panel include Sophie Borup of Company 3 and Mikey Pehanich of The Mill. Directors include Alan Bibby of MPC and Marie Hyon of PSYOP. VFX Artists include Mark French of Brand New School. And audio mixers include Tom Jucarone of Sound Lounge and Steve Rosen of Sonic Union. “We’re delighted to have such an inclusive group serving this year on the AICP Post Awards Curatorial Committee, representing all facets of the post-production crafts and bringing their own unique expertise to the curatorial discussions,” says Miller.